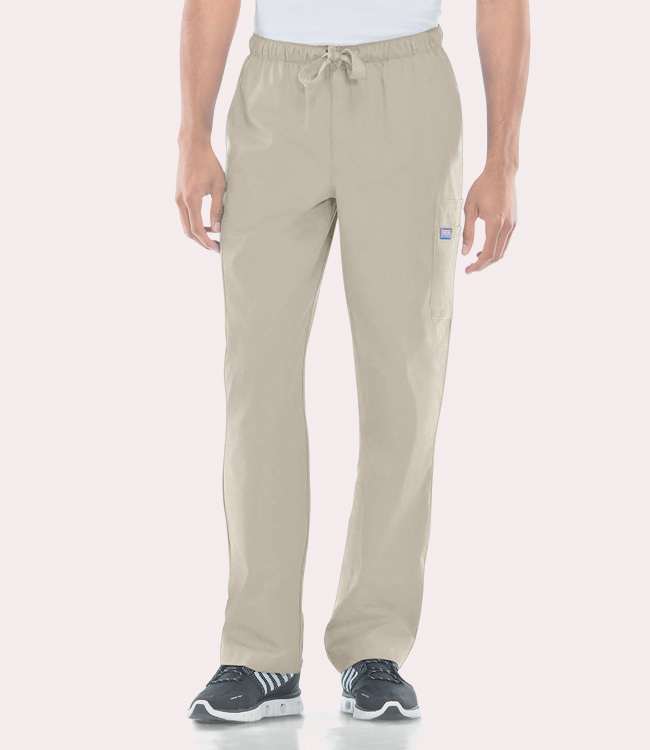 The cargo pant from Workwear made especially for men! 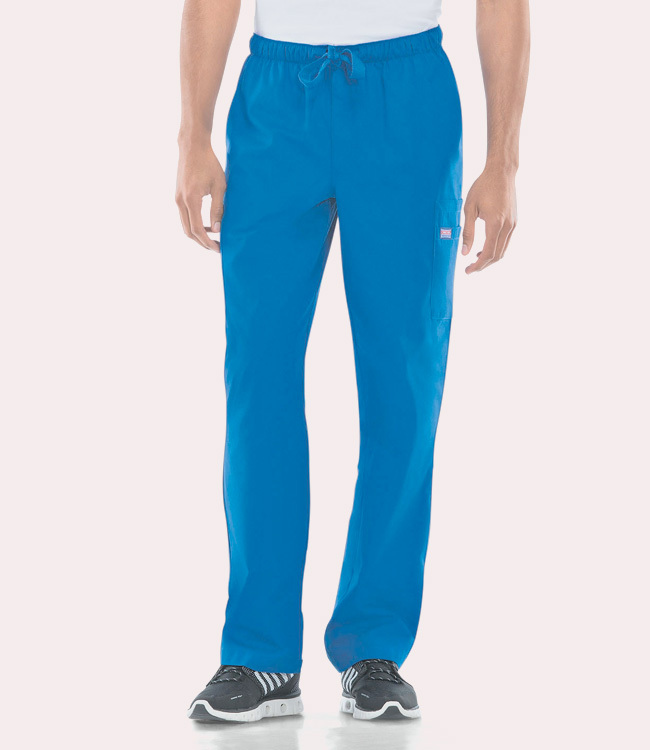 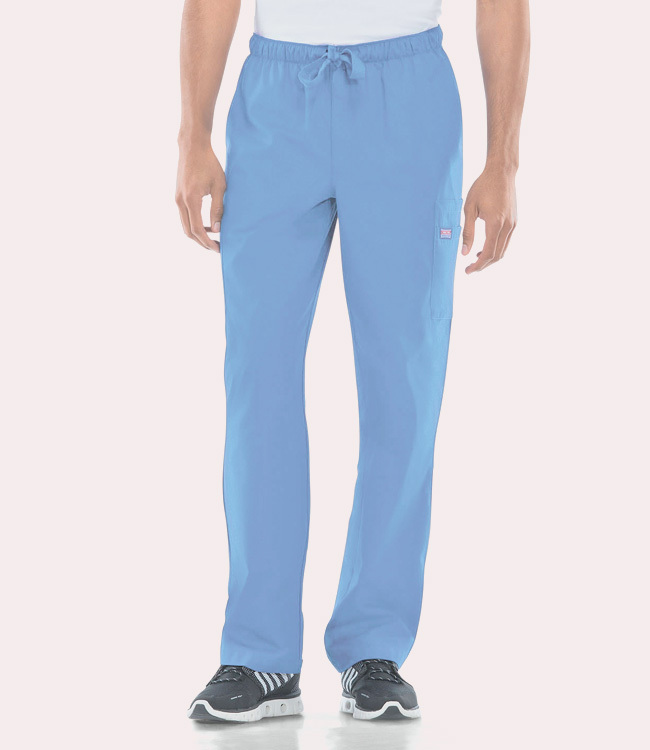 It gathers at the waist with a flat reinforced draw cord but also features a full elastic waist with a functional zip fly. 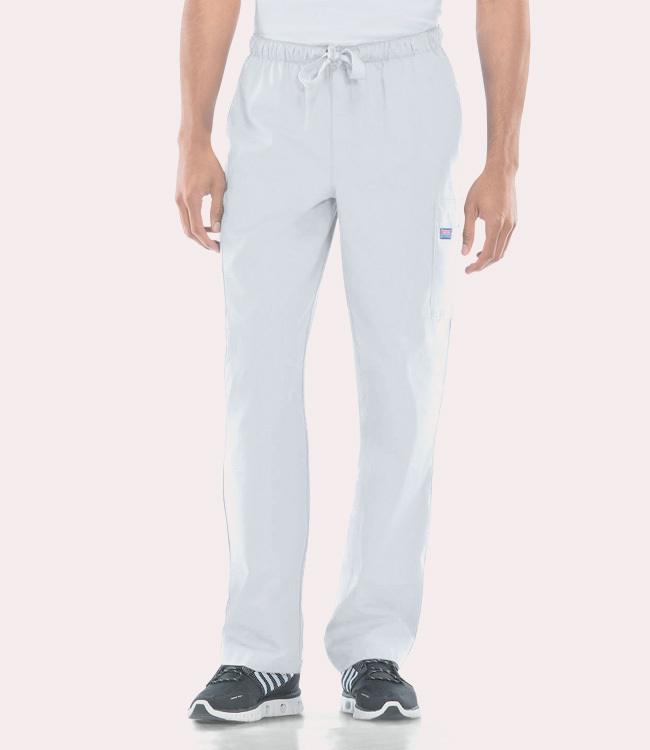 But the real deal is in the stacks of pockets - four on the sides, two side slash style, and one flat back patch pocket.